Nansun Shi, APSA International Jury President 2011. Photo courtesy of Teo Keng Beng. Nansun Shi, one of the region’s most highly regarded film producers, was announced today as President of the 2011 International Jury of the Asia Pacific Screen Awards (APSA). Ms Shi will be joined on the Jury by Cameron Bailey, Co-director of the Toronto International Film Festival, Japanese director and actress Kaori Momoi, Israeli director Samuel Maoz, and the Executive Chairman of the China Film Producers Association, Ming Zhenjiang. During a career spanning three decades, Nansun Shi has produced some of Asia’s biggest commercial hits including Detective Dee and the Mystery of the Phantom Flame (2010), Dragon Tiger Gate (2006), the Once Upon a Time in Chinaseries (1991-1997) starring Jet Li and the Aces Goes Places series (1982-1986). Ms Shi also executive produced the iconic Infernal Affairs (2002), eventually reworked into The Departed by Martin Scorsese, which won Best Picture at the 79thAcademy Awards. Variety magazine named Nansun Shi one of the 50 most influential independent filmmakers in the world and she was named Producer of the Year by CineAsia in 2005. Shi has been pivotal in the success of Cinema City and is Executive Director of the Film Workshop Co Ltd, co-founded with her celebrated director husband Tsui Hark who has directed many of the company’s most successful films. Cinema City and Film Workshop have produced classics such as John Woo’s A Better Tomorrow and The Killer, both starring Chow Yun-fat. Tirelessly committed to the progression of Hong Kong cinema, Nansun Shi is a member of the Hong Kong Film Development Council. She was a juror on the Berlin International Film Festival’s main competition in 2007 and in 2011 she served on the Cannes Film Festival Jury, presided over by Robert De Niro. 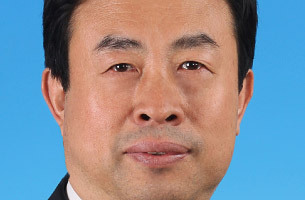 Ming Zhenjiang is the Executive Chairman of the China Film Producers Association, the People’s Republic of China’s official representative of FIAPF–International Federation of Film Producers Associations. Ming is also President of August First Film Studios. He is on the national committee of China’s Federation of Literature and Arts Associations (CFLAA), a standing council member of China’s Association of Film Artists and a Vice President of China’s Film Reviewers Association. He is one of China’s best-known film producers and reviewers and is a highly regarded poet and writer. Ming Zhenjiang has been responsible for over 50 feature films and has won several Chinese and international film awards, including Golden Rooster and Hundred Flowers Awards. Kaori Momoi is one of Japan’s finest actresses and a director of note. As an actress, Ms Momoi has worked with some of the most notable film directors in Japan, including Akira Kurosawa (Kagemusha, 1980), Tatsumi Kumashiro (Seishun no Satetsu, 1974), Yoji Yamada (The Yellow Handkerchief, 1977 and Otoko wa Tsurai Yo, 1979), Shohei Imamura (Why Not?, 1981), Shunji Iwai (Swallowtail Butterfly, 1996), Jun Ichikawa (Tokyo Yakyoku, 1997), Mitani Koki (Welcome Back, Mr. McDonald, 1997), Yoshimitsu Morita (Like Asura, 2003) and, most recently, Takashi Miike (Izo and Sukiyaki Western Django). She also featured in the Russian film The Sun (2005), directed by Alexander Sokurov, and appeared in director Rob Marshall’s Memoirs of a Geisha. Kaori Momoi made her directorial debut with Faces of a Fig Tree premiering at the Berlin Film Festival in 2007 and winning the NETPAC prize. APSA thanks Japan’s Kawakita Memorial Film Institute for its support in inviting Kaori Momoi to join the 2011 International Jury. 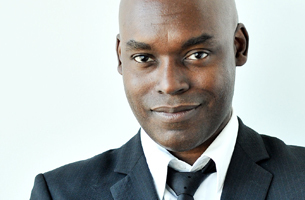 Cameron Bailey is Co-Director of the Toronto International Film Festival. 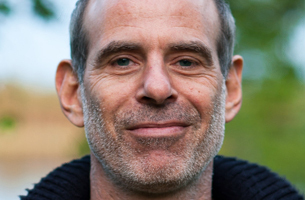 He is responsible for the overall vision of the Festival’s programming, as well as creating and maintaining relationships with the international film industry. Cameron has curated many film series in Canada and internationally for venues such as the National Gallery of Canada and the Sydney Film Festival. He has also served on film festival juries in the US, Europe, Asia and Africa, and has been a guest speaker at several Canadian universities, the Smithsonian Institution and Harvard University. Inspired by a gunfight in a Hollywood Western, Samuel Maoz shot his first film at age 13. The experience resulted in the destruction of his prized 8mm camera, but failed to break his creative spirit: by the time he signed up for National Service, he had made dozens of short films. It was his experience of war that inspired Lebanon, for which he won the Jury Grand Prize at the 2010 APSAs. The film also received the Best Screenplay award at the 2010 APSAs as well as the Golden Lion at the 66th Venice International Film Festival in 2009. Maoz is a member of the European Film Academy and the Asia Pacific Screen Academy. The 2011 APSA International Jury will meet on Australia’s Gold Coast in late November ahead of the APSA Ceremony on November 24, 2011. More than 240 films from 43 countries are competing in this year’s APSAs including, for the first time, films from Samoa and Cyprus. Nominees will be announced in early October. The members of the 2011 International Jury will automatically be inducted into the Asia Pacific Screen Academy. Led by Patron Jack Thompson, the Academy is a growing body of the region’s most influential names in film including past APSA Winners, Nominees, International Jury and Nominations Council members.